Super Space Shock Fighter Fusion Force 20xx pits 2 players against each other in a ship-to-ship space battle. 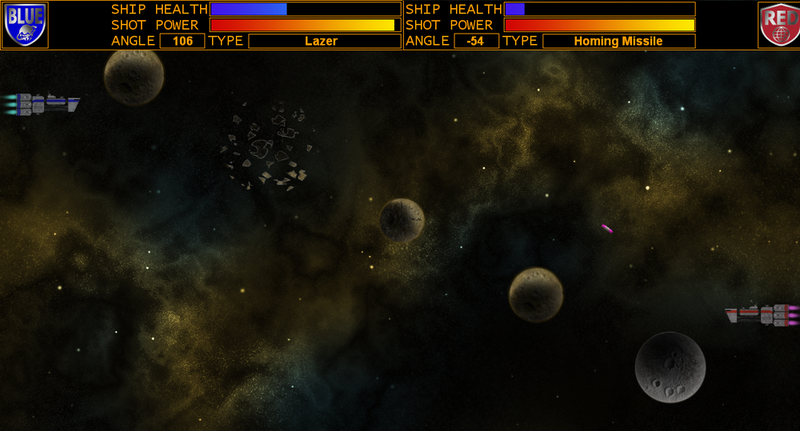 Players take turns launching missiles through an asteroid field to attempt to hit the other player's ship. The asteroid's gravitational pull will alter the missile's trajectory, something the player needs to account for. 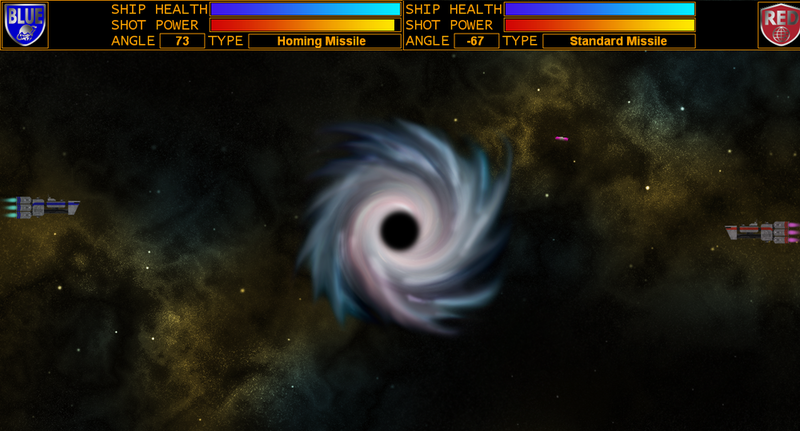 Three missile types and other space objects add to the game's variety. SSSFFF20xx was developed using DirectX 9 and C++. Art was made using Adobe Photoshop and Inkscape. I was partnered in development with Matthew Gizbert and Mohammed Khoory.